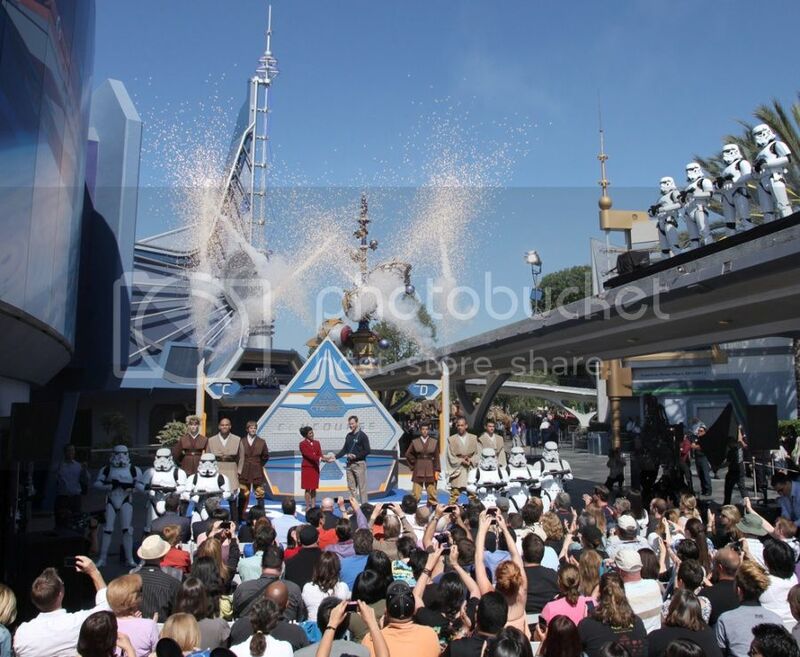 Two weeks after the Florida opening Star Tours 2 had its Grand Opening at Disneyland Anaheim. I was not there but plenty of people were and had the good idea to film the opening ceremony. The video below was shot by the OC Family and you'll see the whole opening show from the start to the end. 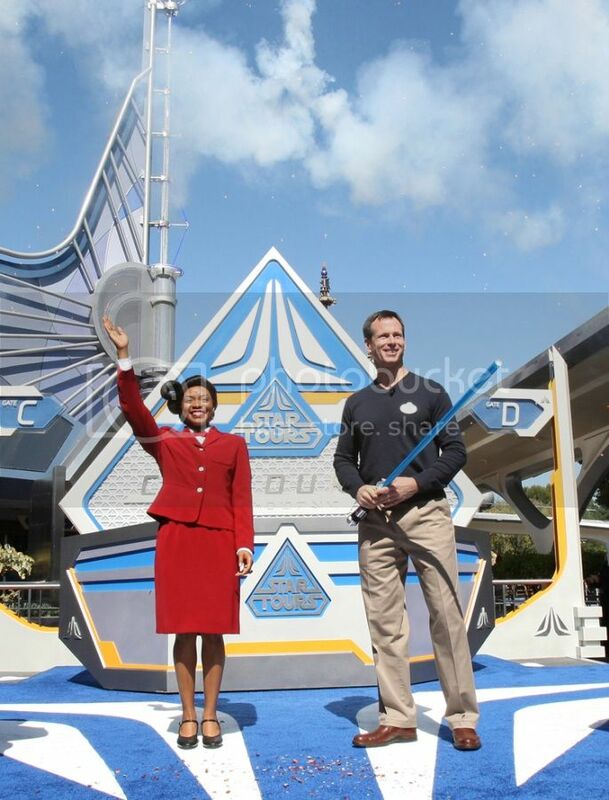 Tom Staggs chairman of Disney Parks and Resorts as the master ceremony and declared "Star Tours 2 open". 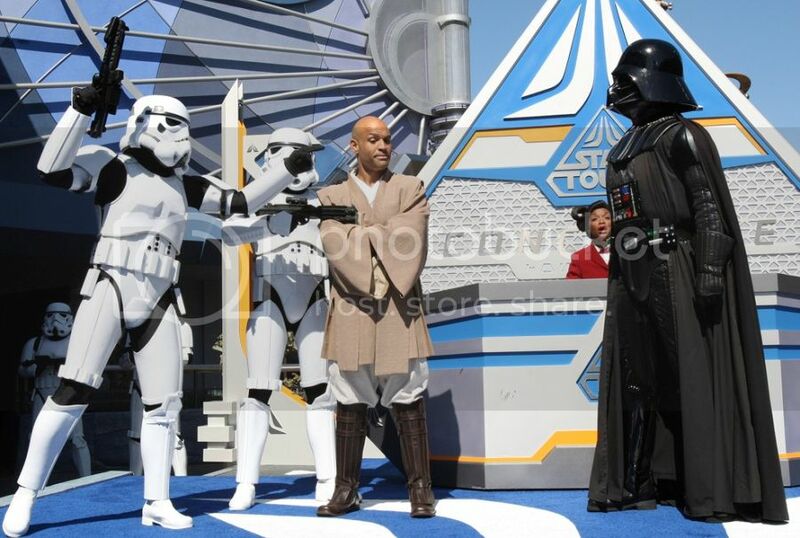 This good old' Darth Vader was part of the Star Tours 2 Grand Opening show and Disney Parks, with a perfect timing, just released the promotional video below which is quite fun, so, have a look!